What is a LAURA ASHLEY CX155LA? Well, this is a computerized sewing and quilting machine. This machine features a large, backlit LCD, that sources easy display for easy viewing. There is also an advanced needle threading system, an adjustable speed control, and the Brother exclusive jam resistant, quick—set drop-in bobbin. 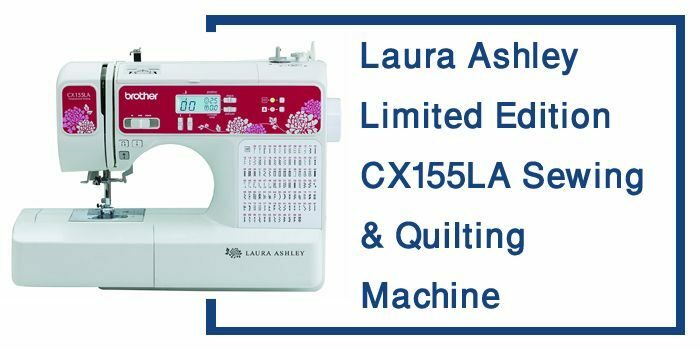 Laura Ashley CX155LA is a great machine for my personal & professional work. Well in order to make your own unique and personal design statement the CX155LA would be a choice. Following the brand Laura Ashley, sewing and quilting will always go back to a choice that you make, to be creative, self-actualization and a sense of accomplishment. The CX155LA is designed for anyone with interest in sewing. This machine is pocket-friendly even to those working on a low or tight budget. The machine is fully computerized and therefore more comfortable for one to navigate through the digital settings. However, the non-illiterate sewers or the less experienced will find it hard adopting through with the machine, but with the help of the manual that comes with the machine from time to time, they can adopt. 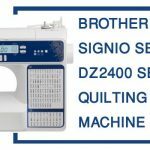 The machine is also designed for those who are interested in making their own home projects such as pillows or even curtains. The Laura Ashley CX155LA only weighs 11 pounds and measures around 20.6*13.7*15.9 inches making it a lightweight. Therefore, from the make stability is not a problem and is advantageous in long sewing sessions since it does not budge even when the machine is running. The machine can fit in any of the desired rooms, and one can easily move around with it without problem since it is not bulky. The CX155LA includes 11 sewing and quilting feet which are located at the corner of the machine that provides you as a sewer with everything that you need to make your dream project a reality. The total number of presser feet that is available with the machine is a total of seven, which includes the buttonhole foot, button sewing foot, overcast foot, blind stitch foot, zig-zag foot, zipper foot and a special purpose foot. 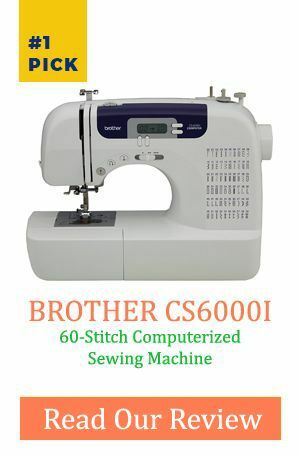 You definitely have to enjoy a wide range of 155 built-in stitches that come with the CX155LA.You can make your own unique and desired designs with this best sewing machine that includes the eight styles of your choice of 1 –step auto-sized buttonholes and 55 alphanumeric stitches, with one built-in monogramming sewing font that is perfect for basic monogramming. I love designs and different ones for that matter, and therefore the CX155LA provides an opportunity for different designs. This is because the machine comes with a full set of designer accessories including a wide table that makes your workspace wider. This gives the machine the property ideal for window treatments and king-sized quilts. The computerized machine comes with an LCD that is purposed for easy viewing and therefore if your room gets dark you have your problem covered. The LCD display is used for easy viewing in low light with a brightly lit LED work area. The brightly lit area becomes more useful to a sewer who is sewing on dark fabrics. It also guides the selection of the stitch chosen under the convenient LCD screen. It sews exceptionally straight and has a lot of wonderful features. The best part is; The machine is not heavy but again does not feel cheap. Q. Does the CX155LA have a Foot Height Adjustment Feature? Q: Does this machine do sideways sewing? 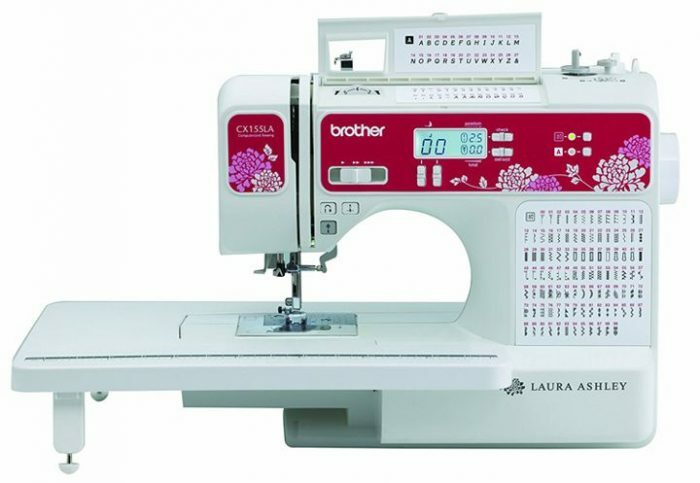 The challenge being mainly less advantageous for the less skilled which can be easily solved by the manual provided I would like to recommend the Laura Ashley CX155LA for anyone with the need to sew and especially for designers. This is due to the ability to sew and make your own designs and even decorate your homes. The machine is also pocket-friendly and therefore does not limit anyone not to purchase it. 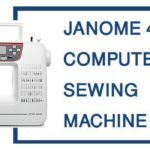 I would recommend the machine for sewing sessions or rather lessons since it could easily be carried and moved from one place to the other being a lightweight machine. The bottom line is you are the one to assess the features and the functions of the machine and know the type of machine you want to purchase and if it serves your dream desires in accomplishing your projects.